A group of residents from the Old Fort Bay community in St Ann has written to the National Resources Conservation Authority (NRCA) and the Urban Development Corporation (UDC) objecting to approvals being granted for a hotel development as part of an agreement with Chinese investors. 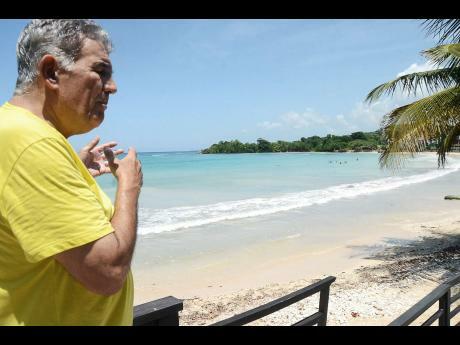 Some 1,200 acres of state-owned lands in Top Fort have been promised to China Harbour Engineering Company (CHEC) as offset for the cost of developing the North-South Highway, which runs from Caymanas in St Catherine to Ocho Rios in St Ann. That section of the highway has been opened, but the group is insisting that the building approvals should not be granted “without extensive community involvement and stringent measures to guarantee strict compliance with the terms and conditions of the agreement. “As the property will reportedly be used for large-scale hotel development and housing project, we are aware that the investors will need various environmental permits and licences,” the group wrote in the letter addressed to UDC Chairman Ransford Braham and NRCA Chairman Danville Walker. According to the group of residents, their objection is linked to “significant environmental damage” that they say has been caused by the construction of the highway. They have written to the Toll Authority arguing that a request for a toll increase should not be granted to the operators until the environmental issues have been addressed. Braham, who was appointed over a month ago, said that he had received the letter and was awaiting a briefing on the matter before responding to the concerns of the residents. “I am new [and] I am not aware of the details of the matter, so I forwarded it to the staff to advise me and bring me up to date,” he said. The UDC chairman added that the briefing will also confirm whether the actual lands to be used are owned by the corporation. Walker could not be reached for a comment. Book sightseeing tours, activities and things to do worldwide ! Long time blogger. Ferncourt is the high school I represent, Brown's Town is the college I represent. St. Ann's Bay is where you will see me sitting on a bench at the library most days, if not, then look for me chilling at Ocho Rios Turtle River Park. I travel all around the parish, so if you want to extend an invite, let me know.